How about some family vacation time in a Caribbean Sea destination? 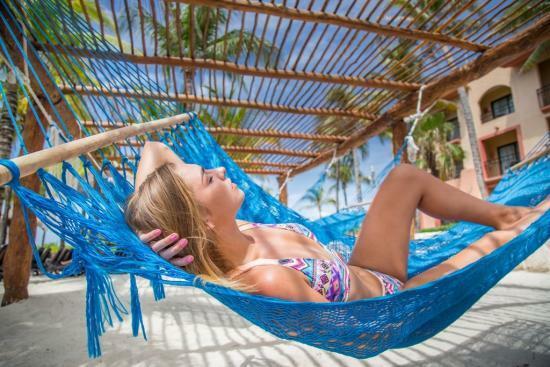 We are totally convinced that as soon as you finish reading our latest news, you will be already packing your suitcase for your upcoming trip to Sandos Playacar. 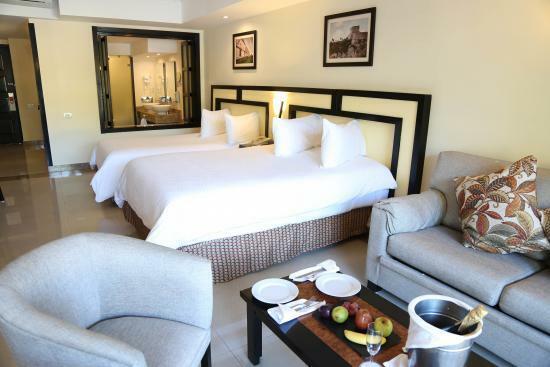 Sandos Playacar has prepared an incredible surprise for everyone: a brand new hotel section which is located right next to the property and facing the one of a kind Playacar white-sand beach. 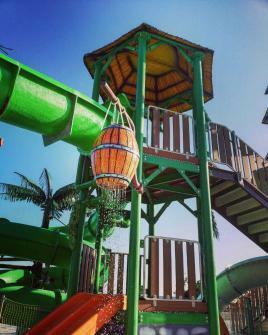 But the main star of this new family spot is the amazing water park for children. It also has special areas for the rest of the family, for adults, and pretty soon an exclusive area for our Royal Elite members. 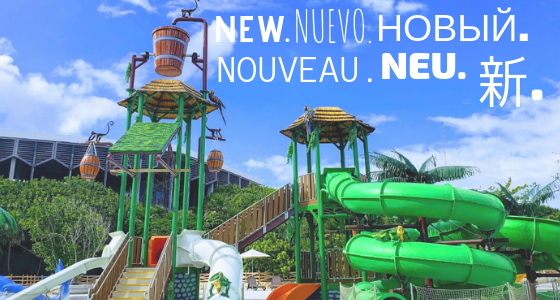 We are too, and it couldn’t be other way since as of next November all of Sandos Playacar guests will be having a blast in this new hotel area which has many surprises for you; the first one being its location. 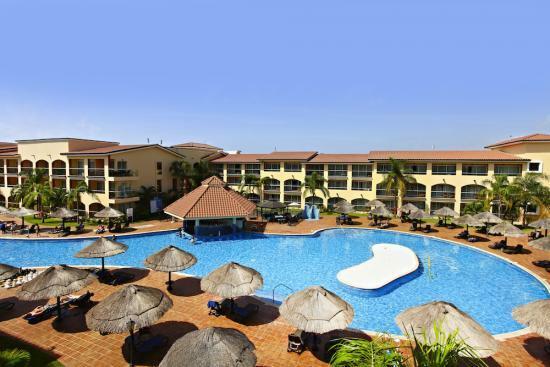 It is located in a privileged area surrounded by nature and just a few steps away from the beach. The second surprise is that everything is just flawlessly prepared so that none of the family members need to get away from the caribbean vibes. 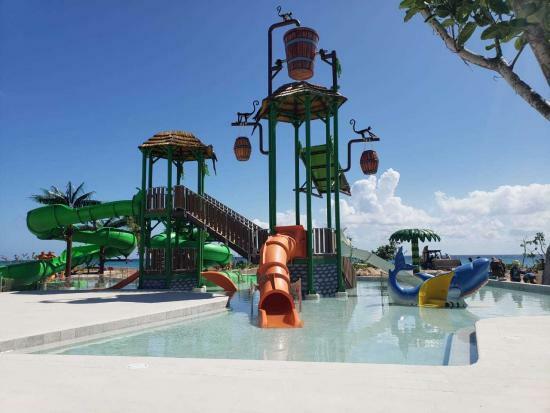 The aquapark has slides which are perfect for your kids, the youngest will have fun in the animal shape slides which surely they’ll love! and for the older ones, there are 5 bigger rounded slides where speed and water will be combined in a “splash” full of fun. The new pool has a swim up bar, which means you don’t have to get out of the pool to order and drink your favorite cocktail. Besides, you will be able to dance with our entertainment staff in the waterobics lessons or challenge your friends at the fun contests hosted everyday of the week. While the kids have fun, you will be able to join in or just relax; as you know, in Sandos Playacar our goal is to get families together and make them have memorable experiences during their vacations. And we are straight serious about getting them all together, so you don’t need to move a meter away from paradise. Everyday our chefs will prepare something delicious next to the bar. We highly recommend you not to miss these yummy dishes during the afternoon. They are specially made for the whole family. And not only the food, great mixology is also present, as we’ll have special cocktails made, full of tropical flavors. Aside from the new family pool and water park, starting December 1st, our guests from family section will also have access to a bigger pool, with a swim up bar, snacks and on the top of that: right next to your room. Easy access, lots of fun! 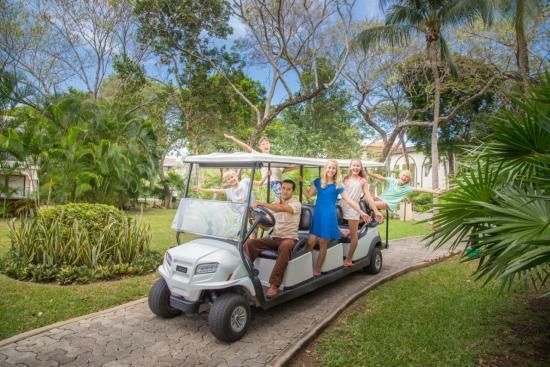 If you’ve been to Sandos Playacar, then you’re probably familiar with our golf carts always riding throughout the hotel giving guest a ride to their room or pool areas, so don’t worry about walking from one place to the other, since this transportation will also be reaching the new pool and waterpark area. The adult section is moving closer to the ocean! To our adults guests (18+) who travel in couples or as friends: We are thrilled to announce that we’ve prepared something them too, as we’ll also be premiering brand new room categories closer to the ocean. Introducing the new adults only category, the Select Club Ocean Front. It’s just amazing, don’t you think? We made sure you get the correct amount of breeze and the perfect view from your room. The new room categories from the Select Club are located closer to the beach are available for reservations from next December and onwards. 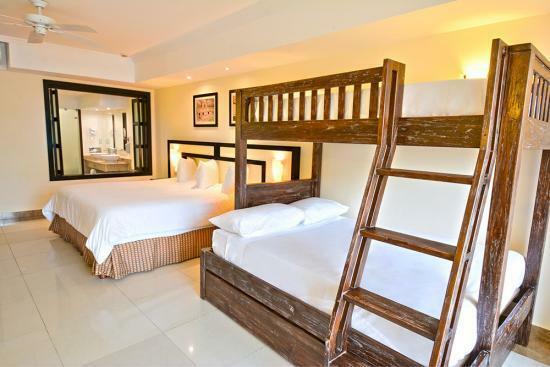 You will find exclusive bars, bali beds and everything you need so that the sun and the beach turn into your best allies and you are able to relax as never before. We’ll also have the Select Club Superior room available, which is also closer to the new adults exclusive areas. And starting December 1st, remember we will also have the Select Club moved closer to the ocean along new exclusive pool and areas for adults next to the beach. Are you ready to have fun and get relaxed as never before? Visit us, we are already waiting for you! **Regulations and restrictions apply on the water park.